Washing clothes in your washing machine isn't too difficult, but you should know how to load your washing machine so that it can wash your clothes as effectively as possible. The instructions below are best suited for a top loading machine. If you load your washing machine incorrectly the results can include dirty clothes, but can also include soap spots on them, fabric softener stains, or even bleach stains. 1. Set your washing machine to its smallest load level and let it fill with water. 2. Add laundry detergent and let the machine agitate for 15 or so second to let the detergent dissolve in the water. Hint: This step is especially important if you use powdered detergent instead of liquid detergent because it takes longer for powdered detegent to dissolve in water. This will prevent caked on soap on your clothes that you see sometimes if you are loading your washing machine incorrectly. 4. Now, set the machine to the right size load, i.e., large or medium, and let water fill in the machine to the right amount. 5. 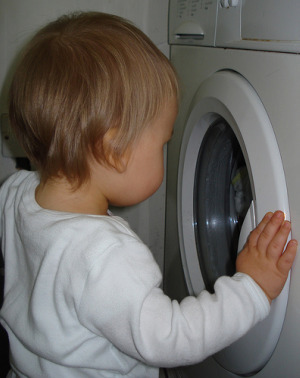 While the water is filling into the washing machine for washing clothes, go ahead and add the clothing to be washed. Hint: Do not overload the machine with too many clothes or they will not be able to agitate properly, and thus will not get as clean as possible. 6. Then, let the machine run as normal. Hint: If your clothes are really dirty they will benefit from a soak in the soapy water before you continue the wash. If this is the case, go ahead and stop the machine for about 30 minutes before you finish running it to let it soak away dirt and stains. The instructions above said to add the bleach right after the detergent, and before adding the clothes. This is perfectly acceptable for nonchlorine bleach, and also a good strategy for chlorine bleach if you don't have a bleach dispenser on your washing machine. The reason for this instruction, when washing clothes, is that bleach, while good for helping to clean your clothes, is not good for your clothes if it touches them in its undiluted form. It can cause bleach stains, and weaken fabric fibers. Therefore, the instructions above are designed to make sure the bleach becomes diluted before it touches your clothes to minimize (not eliminate) these problems. However, chlorine bleach has a side-effect on laundry detergents -- it deactives the enzymes some of them contain. These enzymes are not essential to the detergent's cleaning power, but they do help break down certain stains, such as protein and grease stains. That means that if you add your chlorine bleach as stated above you will not get this stain fighting kick your laundry detergent provides. However, the enzymes work quickly, within about the first five minutes of the wash, so it is safe to add your chlorine bleach after the enzymes have done their job if you want the best of both worlds -- the stain fighting power of enzymes and the whitening of chlorine bleach. Therefore, some people swear by using a bleach dispenser in their washing machine, which is timed to release the bleach into the wash after the enzymes have done their job. What if you don't have a bleach dispenser? Then you must do as follows: About five minutes after the clothes have been in the wash stop the machine and add the bleach. You must be careful when doing this though, or otherwise some unlucky garment in the pouring path will get a full dose of undiluted bleach, which as I said above is not a good thing. To combat this problem it is suggested that you dilute the bleach yourself before pouring it in, and then carefully stir the clothes with a big wooden stick to mix the bleach solution around amongst all the clothes before turning the machine back on. 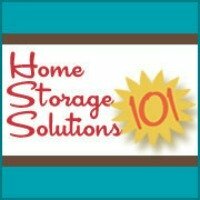 By the way, if you've gotten frustrated with the lack of features on your washing machine, such as no bleach of fabric softener dispensers, and are looking for a new one a resource you can use are these washer dryer reviews and ratings of less known brands to help you find a new one that will suit your needs. Some people, when washing clothes, like to add fabric softener. If you are amongst them you need to add your fabric softener during the final rinse cycle, if you don't have a fabric softener dispenser that does it automatically for you. Further, you should dilute the fabric softener with approximately a quart of water before adding it, because if it touches clothes directly it can cause spots, or fabric softener stains.